Indianapolis, Indiana – Australian Gold, LLC of Indianapolis, Indiana sued in the Southern District alleging trademark infringement and unfair competition. Plaintiff Aust ralian Gold, which manufactures, distributes and sells tanning preparations, claims ownership to U.S. Federal Trademark Registration No. 5,130,366 for BEACHIN’ LIFE. It states that it has used this trademark since “at least 2016”; the trademark was issued by the U.S. Patent and Trademark Office on January 24, 2017. Defendant in this Indiana lawsuit is Devoted Creations, Inc. d/b/a Ed Hardy Tanning of Oldsmar, Florida. 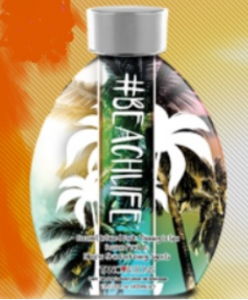 Devoted Creations has introduced and is selling a #BEACHLIFE tanning preparation for the indoor tanning market. A trademark litigator for Australian Gold has sued in Indiana federal court asserting that Devoted Creations’ use of #BEACHLIFE to promote its tanning goods is likely to cause confusion in the marketplace. The lawsuit further alleges that Devoted Creations has acted “willfully, intentionally and deliberately in derogation” of Australian Gold’s intellectual property rights under 15 U.S.C. §§1114 & 1125 and the common law. Australian Gold is seeking damages, including a trebling of those damages upon a finding of willful infringement, as well as injunctive relief, costs and attorneys’ fees. The case was assigned to District Judge Tanya Walton Pratt and Magistrate Judge Matthew P. Brookman in the Southern District and assigned Case 1:17-cv-00481-TWP-MPB.